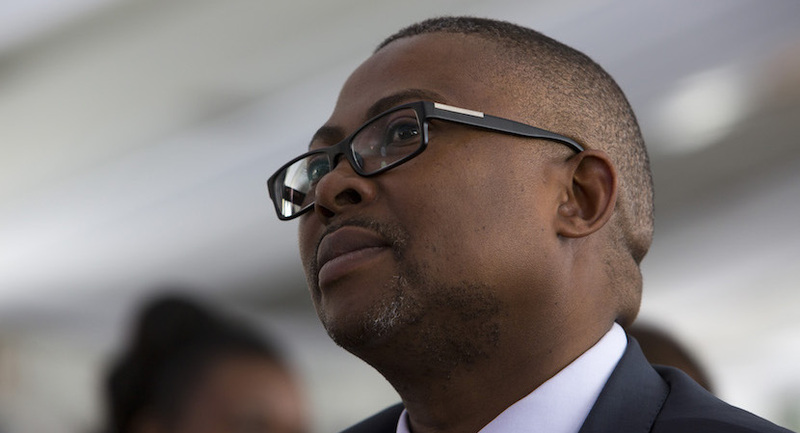 (Bloomberg) – Transnet SOC Ltd. moved to suspend Chief Executive Officer Siyabonga Gama and two other executives amid a probe into their roles in questionable procurement contracts entered into by South Africa’s state-owned port and freight-rail operator. The decision comes amid a push by President Cyril Ramaphosa’s administration to clamp down on graft and address poor management at state-owned companies, which are cash-strapped and pose an increasing risk to the nation’s finances. Executives at state power utility Eskom Holdings SOC Ltd, and South African Airways are among those to have been replaced. Transnet squandered billions of rand and broke a raft of regulations when it altered the terms of a deal to buy 1,064 new locomotives, an investigation by law firm Werksmans Attorneys found. A separate report commissioned by the National Treasury found Transnet paid R509 million ($35 million) more for 100 locomotives after switching a supply contract to a Chinese rail company from Mitsui & Co. of Japan. Letters to place Gama and the two other executives on precautionary suspension have been served, Johannesburg-based Transnet said in a statement Thursday, confirming an announcement by Public Enterprises Minister Pravin Gordhan’s office the previous day. The trio – which includes Chief Procurement Officer Thamsanqa Jiyane and supply-chain manager Lindiwe Mdletshe – have until Monday to argue why they shouldn’t be put on leave. Gama survived a board shake-up at Transnet in June, retaining his position as CEO while 14 people were appointed to the board. One of the allegations against him is that he obtained an MBA qualification with the help of a service provider to Transnet, the company said. South African Airways fired its former chief executive officer and chief financial officer in June after finding them guilty of misconduct. Under their leadership, SAA failed to properly value assets or correctly record irregular or wasteful expenditure, according to an Auditor-General report released earlier this year.